It's the time of year for all things 'Creme Egg'........ Each year there seem to be more and more variations on what you can do with these little fondant-filled chocolate eggy wonders. 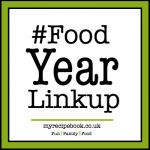 It's quite amazing where they end up (in culinary terms), with everything from brownies, cheesecakes, ice-cream cakes and cupcakes..... to ice cream, cookies and even pop tarts, deep-fried Creme Eggs, milkshakes and Creme Egg-filled croissants. 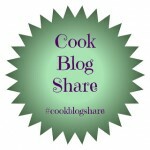 The appeal of the Creme Egg seems to be a little of an obsession in the foodie blogosphere....... Is it the colour, the texture the addictive sweetness I wonder that makes them such a compelling Easter ingredient? There are, of course, a million and one chocolate egg varieties out there to choose from, yet the Creme Egg stands out as the egg of choice for so many Easter-inspired treats. As I have got older, I have struggled to eat a whole larger-sized Creme Egg in one go without feeling a little sick..... But the mini Creme Eggs are a different matter....... A couple of those to savour and I am a happy Easter bunny. I think the lesser ratio of sugary fondant to chocolate makes for a better balance and allows for greater control in knowing when I have reached my egg-eating threshold. Last year, I made some amazing gluten free Creme Egg Cup Cakes, which were not only topped with half a mini Creme Egg, but had a hidden Creme Egg baked within the sponge. They were perfect for the school Easter fair and disappeared extremely quickly! With a slightly dense, chocolate sponge base (which maintains a great texture despite being kept in the fridge), the cake is then topped with two separate and differently-coloured vanilla mousse layers, intended to hint at the contrasting yolk and white colours found in the fondant of a Creme Egg. 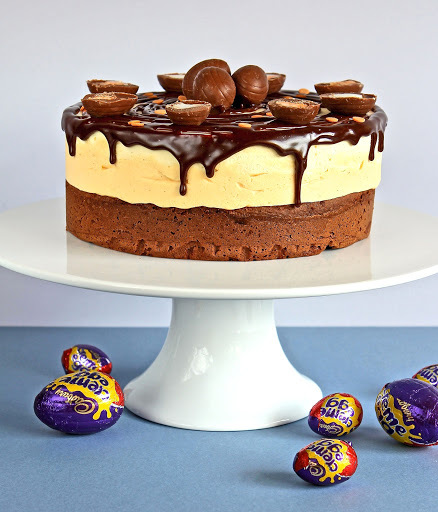 The cake is decorated with mini Creme Eggs and dark chocolate ganache...... but don't feel misled.... Hidden within, there is also a layer of Creme Egg pieces waiting to be discovered, somewhere between the top of the sponge and the start of the mousse. Looks like my Easter is sorted....... what will you be making? Alpha Bakes with The More Than Occasional Baker (and Caroline Makes). 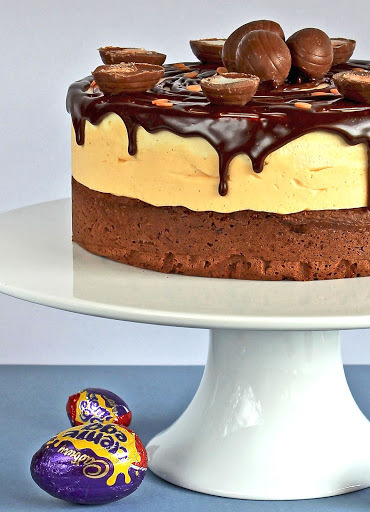 March has C as its random letter..... perfect for Creme Egg and Cake. #FoodYearLinkup with Charlotte's Lively Kitchen..... celebrating Easter Sunday. Simply Eggcellent with Belleau Kitchen...... Plenty of eggy stuff going on here Dom! 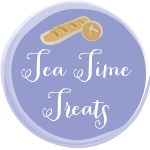 Tea Time Treats with The Hedge Combers (and Lavender & Lovage). Hopefully this mousse cake will be a fitting addition to Janie's Easter Extravaganza. 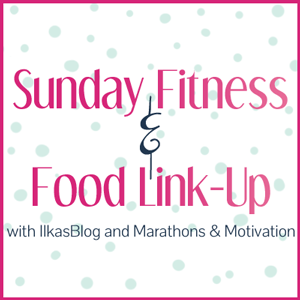 Sunday Fitness & Food with Marathons & Motivation and IlkasBlog. 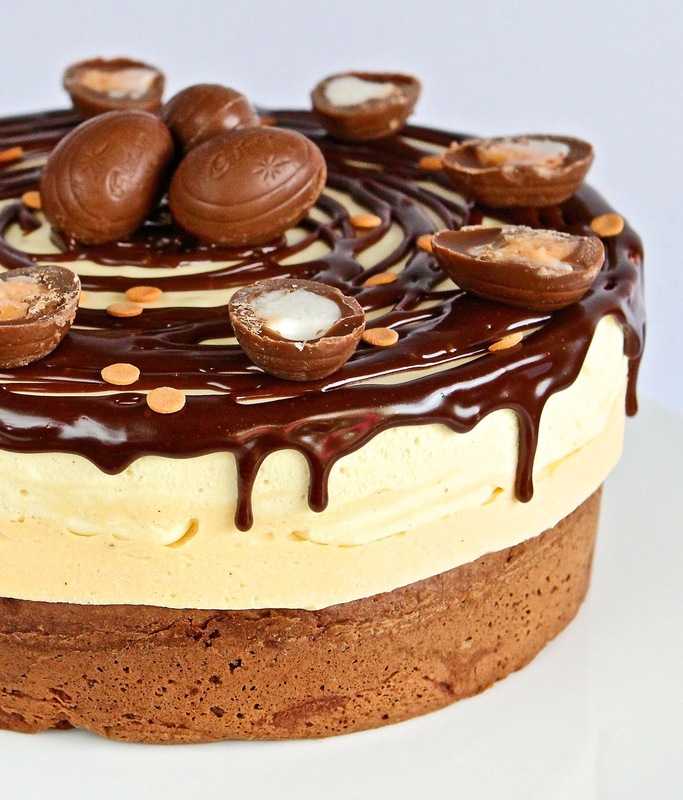 Easter 'Creme Egg' Mousse Cake (makes 1 x 8 inch or 1 x 7 inch (slightly taller) cake) - your cake tin will need to be 3 to 4 inches (8 to 10 cm) tall, with a loose bottom. Preheat the oven to 180 C/350 F/Gas 4. Base-line your cake tin with baking paper. Chop the chocolate into small pieces and place in a heat-proof bowl with the butter. Melt together, either over a pan of lightly-simmering water or in the microwave on medium setting, 30 second bursts, stirring between each. When the chocolate and butter have melted and been blended to a smooth liquid, set aside. Weigh and mix together the almonds, flour, xanthan gum. baking powder, bicarbonate of soda, salt and cocoa, until all lumps have been broken down and set aside. Beat together the sugar, eggs and vanilla until pale and thickened. 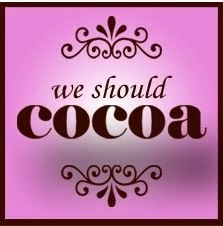 Add the chocolate mix and beat again. Add the yoghurt and milk and beat until fully combined. Finally, add the dry ingredients and fold through until even. You should have a batter which is thick, but will still drop off the spoon with minimal encouragement. If the batter seems a little too thick, just add a dash more milk and carefully fold in trying not to over-mix. Spoon the batter into the cake tin and smooth the top. Bake for 35 to 40 minutes until the top springs back to the touch and a skewer inserted into the centre comes out clean. Leave the cake in the tin to cool for 5 to 10 minutes, before transferring to a wire rack to cool completely. When the cake is completely cold, use a sharp knife to level it so that the top is flat and even. Wash and base line the cake tin that you used to bake the cake and cut a piece of baking paper so that it completely fits round the inside sides of the tin and overlaps on itself by a couple of inches (or use an acetate cake collar if you have one). The collar needs to be a little taller than the top of the tin. Place the sponge back into the cake tin inside the collar. 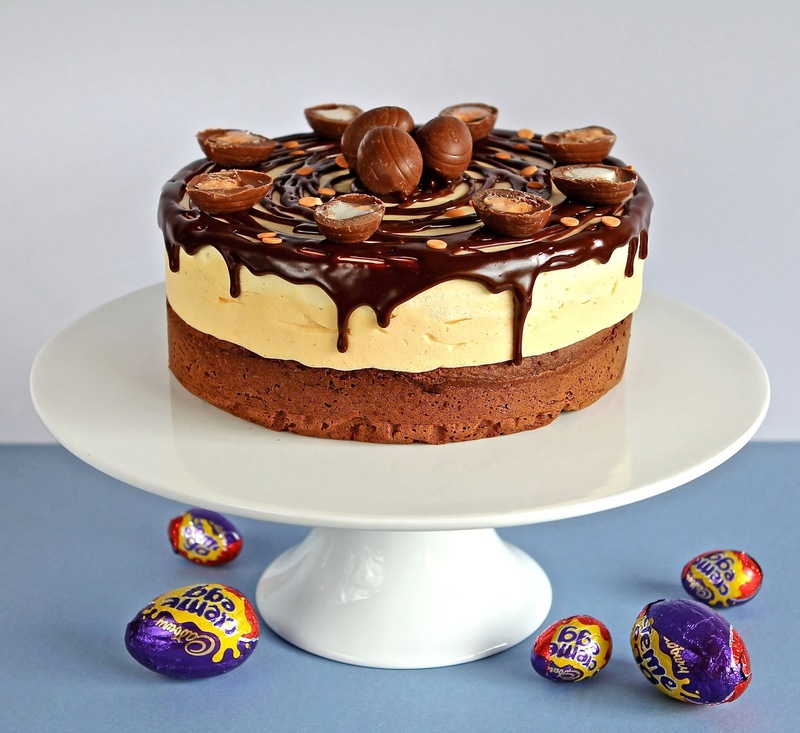 Arrange the pieces of chopped Creme Egg on the top of the cooled sponge inside the cake tin. Combine the chocolate, about 80 ml of the cream and the salt and heat until the chocolate has melted and the liquid is smooth. 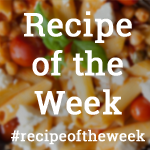 You can do this on the hob over a low heat in a small saucepan, stirring frequently (be careful not to over-heat) or in the microwave on 20 to 30 second bursts (medium setting), stirring between each. Set aside. Mix together the gelatine with the water and leave for a few minutes for the gelatine to absorb the liquid. When the water has been absorbed, heat the gelatine in the microwave for about 15 seconds until liquid and stir thoroughly until smooth. Pour the gelatine into the chocolate mix and beat immediately and thoroughly until smooth. Whisk the remaining cream until it forms stiff peaks (be careful not to over-whisk). Add the vanilla extract and about half the chocolate mixture and quickly, but gently fold together to combine, then adding the rest of the chocolate mixture and folding again. For the tinted mousse layer, add a good few drops of colouring and fold through until you reach your desired orange colour. Tip the mousse into the tin on top of the sponge and Creme Egg pieces and smooth the top. Lightly place a disc of baking paper on top and refrigerate for about 4 hours to set completely. Make the second mousse layer (without the food colouring) and tip onto the first mousse layer, smoothing the top. Place a piece of cling film over the tin (not touching the mousse) and chill for about 4 hours until completely set. When set, carefully push the cake up out of the tin, and remove the base paper and collar. Set the cake on a serving plate. Place your finely chopped chocolate into a glass bowl. Pour the hot cream over the chocolate and leave to sit for about 15 seconds, before stirring through. Keep stirring until the chocolate has completely melted and the ganache is smooth. Leave to cool at room temperature (do not refrigerate or you will lose the shine), stirring occasionally until the ganache has started to thicken, but is still pourable. Drizzle the ganache in decorative swirls or patterns on the top of the mousse, allowing some to trickle down the sides. Cut some of the eggs in half and arrange both halves and whole eggs on the top of the cake. Add some sprinkles (if using). Store refrigerated, but remove from the fridge for about 15 minutes before serving. Especially good served with cream! Thanks Lucy...... There are so many permutations aren't there?! I have another couple up my sleeve too!! 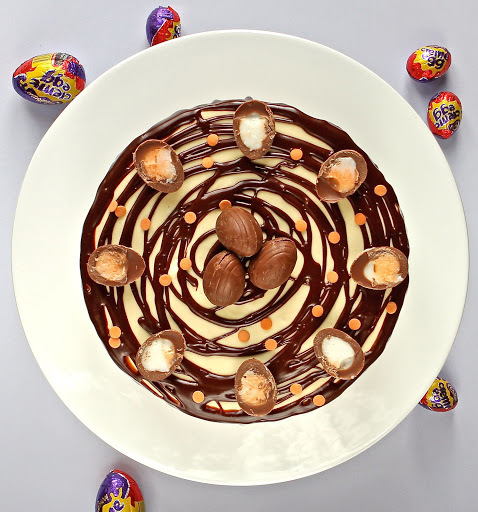 You're right, we bloggers all go rather creme egg crazy at this time of year. I think it's the most iconic of the chocolate eggs, and it's got such vibrant colours when you split it in half. I love this creation as I expect the lightness of the mousse offsets the rich, sweet chocolate perfectly. It's so beautifully presented too. I remember when these came out too! It was such a Big Deal & I was so excited to find them in my Easter Basket way back then :-) This cake is so beautiful & decadent! 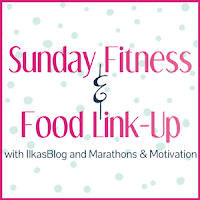 Thank you for sharing at the Sunday Link-Up, Pinned!! That looks mesmerising! Lovely swirls on top. 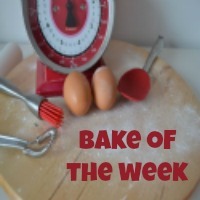 Thanks for joining in with #BAKEoftheWEEK ! Thanks Sarah. I'm very proud of the decoration on this one! Wow, your creme egg mousse cake looks absolutely delicious Kate. I love the sound of the vanilla mousse with the chocolate sponge. Thanks Sarah. It was lovely. 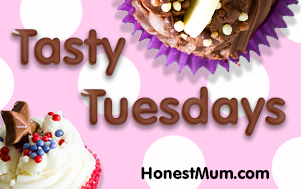 I think chocolate and vanilla is one of those timeless combinations which just 'works'! This looks beautiful but I must have made a breakthough on the quitting sugar because it doesn't make me want to eat it! Hurrah! With any luck I am over my addiction!! Wow, so beautiful! Such a stunning creation! I could *almost* resist eating it! Thanks Kat..... no such consideration of willpower in our house..... it was gone in a flash! Absolutely stunning this bake!! You have made really well. It is lovely to make your own cakes for Easter and with chocolate. Thank you so much Helen. That's really kind (and great to have such lovely feedback)! 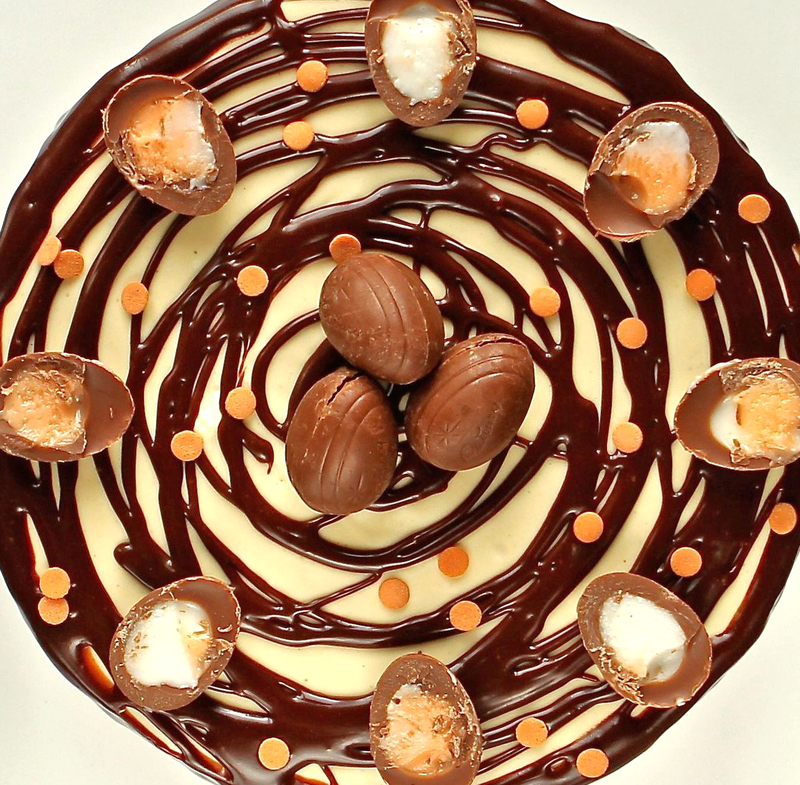 This is one of the best creme egg recipes I've seen this year! It's so beautifully presented and I love the mousse cake element. I have to confess I don't actually like creme eggs but they are so pretty to use in cakes and bakes at this time of the year.Thanks for entering AlphaBakes. Awww.... Thanks Ros. It seems to me we get more and more inventive with Creme Eggs every year. Actually I can't eat the big ones either..... way too sweet, but the little ones are perfect for baking!